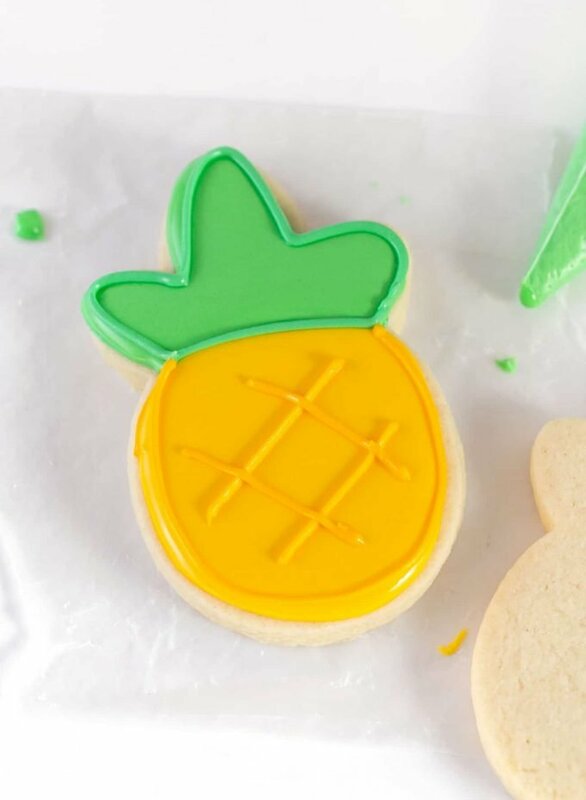 Ever since posting my easy sugar cookie icing recipe, I’ve gotten some questions on what a good substitute for corn syrup in the icing would be. 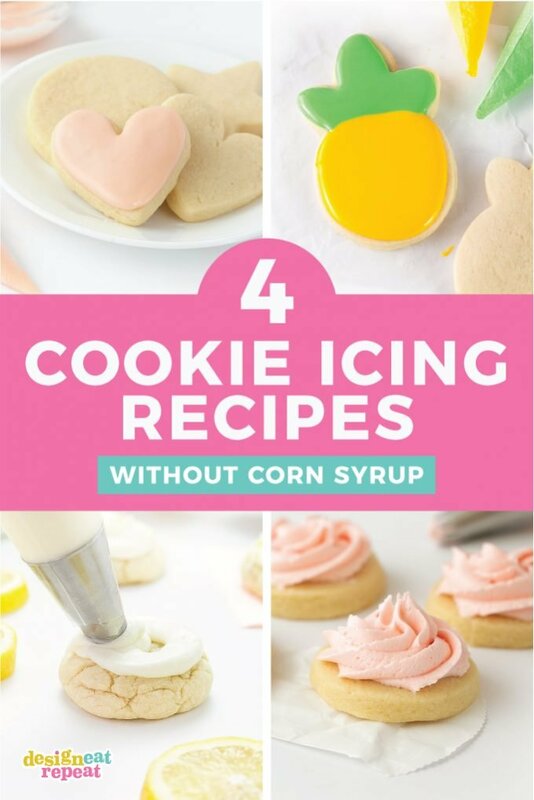 So today I’m going to go through my top 4 recipes for sugar cookie icing without corn syrup and talk through the pros and cons to each. Besides my original sugar cookie icing recipes (that uses corn syrup), powdered sugar icing is probably on the same level of easy. 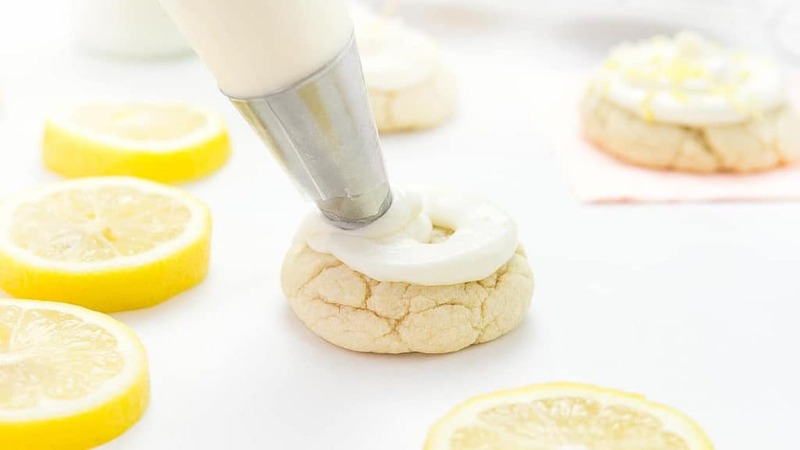 Using basic ingredients like powdered sugar, milk, vanilla and almond extract, and a pinch of salt – this is the perfect icing when you’re in a pinch and need something quick. Cookies are safe to leave at room temperature for 2-3 days (any longer than that, you should refrigerate or freeze them since they contain milk. Not great for intricate details, as the icing is thin and will spread. Some people don’t like the taste of powdered sugar icing because of how sweet it is. Traditional royal icing doesn’t use corn syrup, but rather uses meringue powder to help it harden. 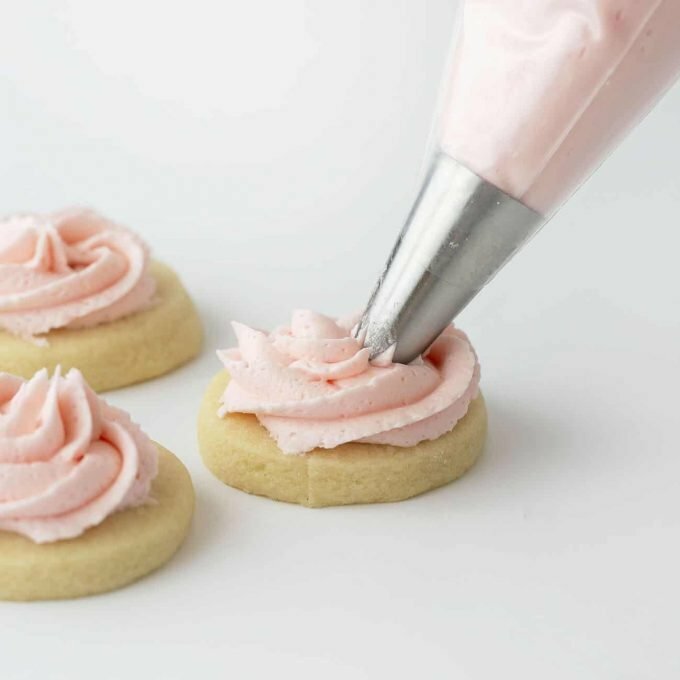 Because of this, royal icing is best when you want your cookies to be able to be stacked or when you need to pipe intricate details that you want to hold their shape. Great when you need the cookies to dry completely hard for storing, stacking, or freezing. Great when you need to use multiple colors or pipe intricate details. When cookies are iced with royal icing, they freeze well (i.e. the icing won’t crystallize like it would if there were corn syrup inside). 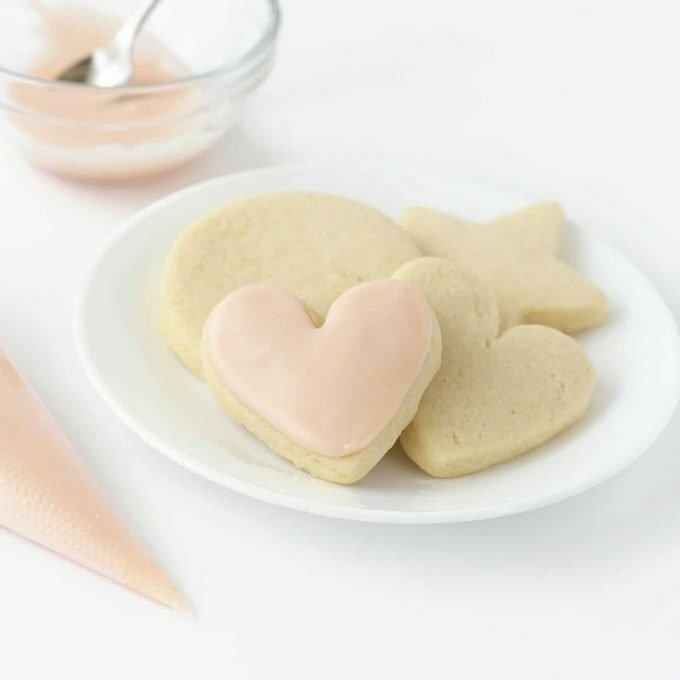 Learn more on how to freeze sugar cookies. Cookies do not need to be refrigerated after frosting if you’re using meringue powder. Can be tricky to get consistency correct. I talk all about how to achieve the perfect consistency in my royal icing for sugar cookies post. If you’re looking for something more creamy than traditional icings (that doesn’t require fancy decorating), I recommend frosting the cookies with cream cheese frosting. 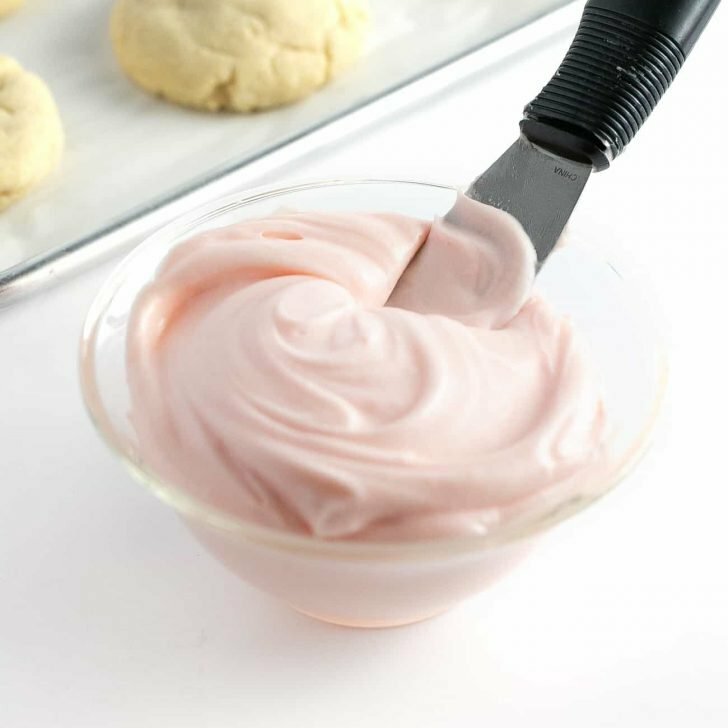 This frosting is a smooth cream cheese buttercream that you can spread with a knife or by using a piping bag (or even just a ziploc bag with the corner cut off). Cookies freeze well after being frosted. 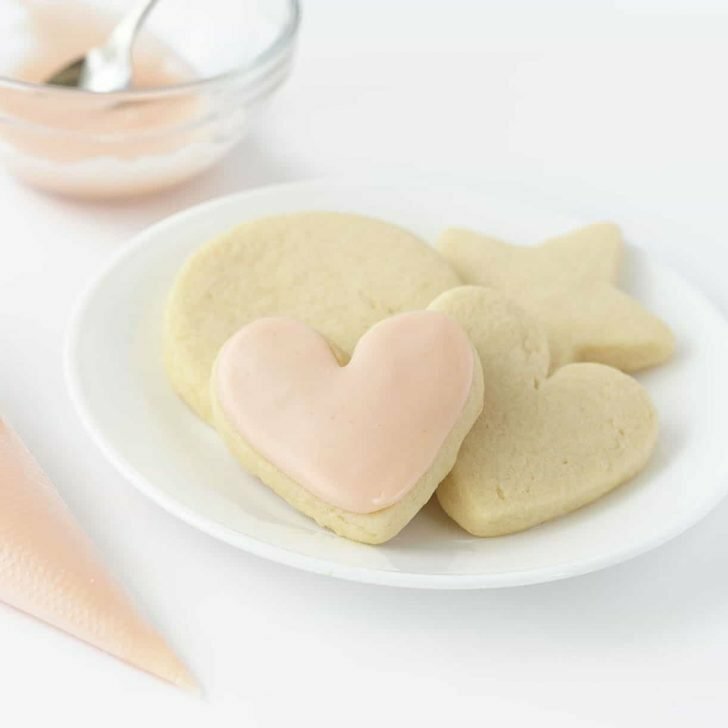 Learn more on how to freeze sugar cookies to prevent smudging. The frosting will develop a slight crust if left sitting out (or when refrigerated), but it won’t completely harden. Which means you shouldn’t stack them when they’re at room temperature. For my tips of perfect stacking, see my guide on how to freeze sugar cookies. Cookies need to be refrigerated since the frosting contains cream cheese. Looking for something a little fancy without going all out on intricate designs? 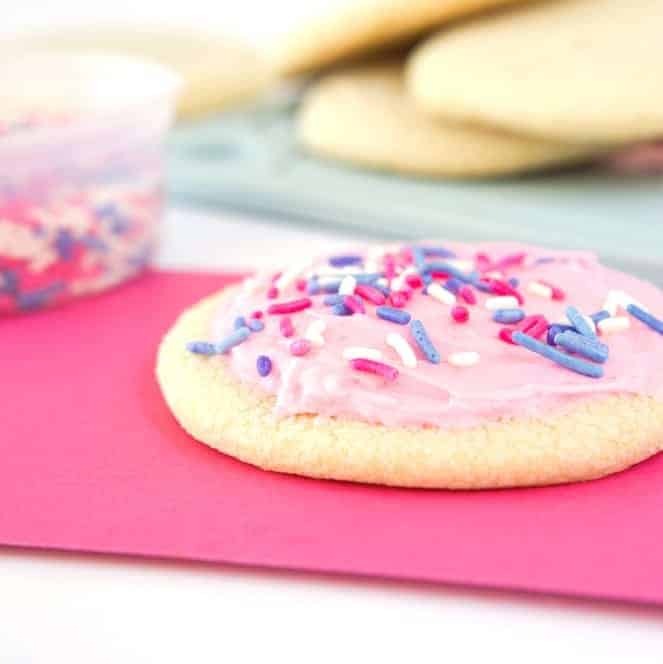 My pipeable sugar cookie buttercream frosting is the perfect addition to soft and thick sugar cookies. Use a star tip to swirl on the frosting and top with sprinkles. You want a thicker, creamier frosting. The frosting will develop a slight crust if left sitting out (or when refrigerated), but it won’t completely harden. Which means you shouldn’t stack them. For my tips of perfect stacking, see my guide on how to freeze sugar cookies. Although the amount of sugar will stabilize the butter (meaning you could technically leave them at room temperature for 2-3 days), I recommend refrigerating these so that the frosting doesn’t “melt” down and flatten out. Which icing is the easiest to make? Which icing tastes the best? What’s the best sugar cookie recipe to use with these icings? I have a few favorites depending on the texture you’re going for. My cut out sugar cookies is my favorite for roll out cookie, while my no roll sugar cookies is my favorite for soft pillowy cookies. Cut Out Sugar Cookies = good with any 4 of these icings. No Roll Sugar Cookies = best with the cream cheese or buttercream frostings.